In 1415, two noble Kentish families, the Wallers and the Hollands, were united by the courage of their sons in triumphant battle against the French at Agincourt. Five hundred years later, their descendants found themselves fighting shoulder-to-shoulder in France once again, this time united with the French against a new enemy in the First World War. 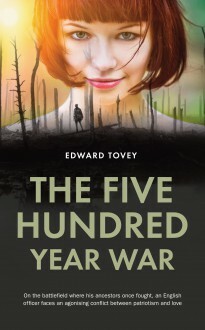 Edward Tovey has built on centuries of history to weave a romantic and moving story of peace and war, love and courage, set against the backdrop of northern France and the battlefields of the Somme. Carefully researched and imaginatively written, The Five Hundred Year War tells the story of a brave young English officer who is determined to serve his country on the front line, and the conflict of loyalties he faces when he falls for a stunningly beautiful French girl.